Our guests on Morning Line today, Dr. Dan Kline and Dr. Maria Williams, want to share some good news - students at UAA this coming fall might be required to learn about Alaska Native people before they can graduate - if a proposal in the UAA Faculty Senate gets approved. University of Alaska faculty Dr. Dan Kline, Director of General Education, and Dr. Maria Williams, Faculty Senate First Vice President squeeze into KNBA's studio to share information about an effort to coordinate Alaska Native studies into the curriculum. The effort is probably the first in the Nation for a 4-year state university - and differs from requiring a single course by focusing instead on identifying courses integrating Alaska Native themed learning outcomes developed by the Alaska Native Studies Council into those courses. Dr. Williams says students from many disciplines including Business and Engineering have advocated for this change. Since student support has been strong at multiple campuses, the proposal is likely to pass. The proposal has several levels of review from the faculty, with possible formal approval by the Provost in May. 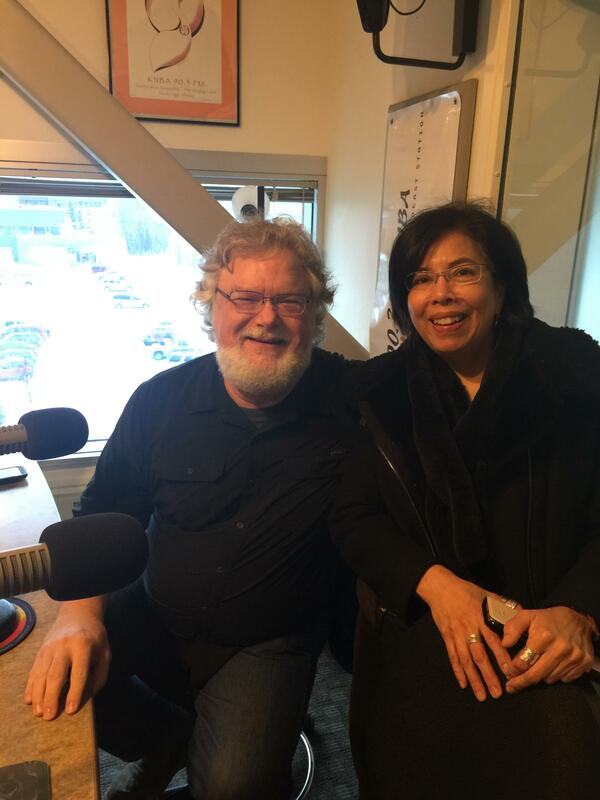 Dr. Maria Williams and Dr. Dan Kline share news of a proposal - integrate knowledge about the diversity, perspectives, and history of Alaska Native & Indigenous Peoples by language and region into the curriculum at UAA - Click to play audio.